Prime position on the kooralbyn valley golf course. Close to the Ramada resort. The entire villa is yours to enjoy along with the pool and BBQ facilities. There are no restrictions on access to any room in the villa. The villa has one bedroom with queen size bed and one bedroom with two single beds. Both bedrooms have en-suites. In addition to these beds there is a fold out single bed which allows four singles to sleep comfortably without sharing a bed if desired (eg four guys on a golfing trip). Full bedding is provided for these four beds. In addition, there are two single stretcher type camp beds and a porta-cot which may be utilized if desired. However please be aware that no bedding is provided for these camp bed and porta-cot. Guests have full access to the entire villa and grounds including swimming pool. All amenities have been provided. The villa comes with one car parking space, however additional guest parking is available at the entry. We live approximately one hour away from the villa so you will be truly independent and fully self contained during your stay similar to a hotel room (only better!). We cannot guarantee meeting guests for check in or departure and so have arranged for keys to be available to you upon arrival. We are of course available by phone for the duration of your stay. Kooralbyn is being redeveloped as an Eco-tourism resort with world class golf course, health spa and numerous other attractions. The location is peaceful and stunningly beautiful. Wildlife abounds in the whole area including the golf course and right up to the adjoining properties. Our villa is situated in prime position overlooking the green and fairway of the first hole of the golf course. The Ramada resort is a short distance away. Local services including pub, food store, chemist and cafe are all a short drive or walk away. I am an Australian citizen who has been married for several years with two school age children. Myself and my wife are long-term employees of Queensland Government agencies and pride ourselves on trust, honesty and relationship building. 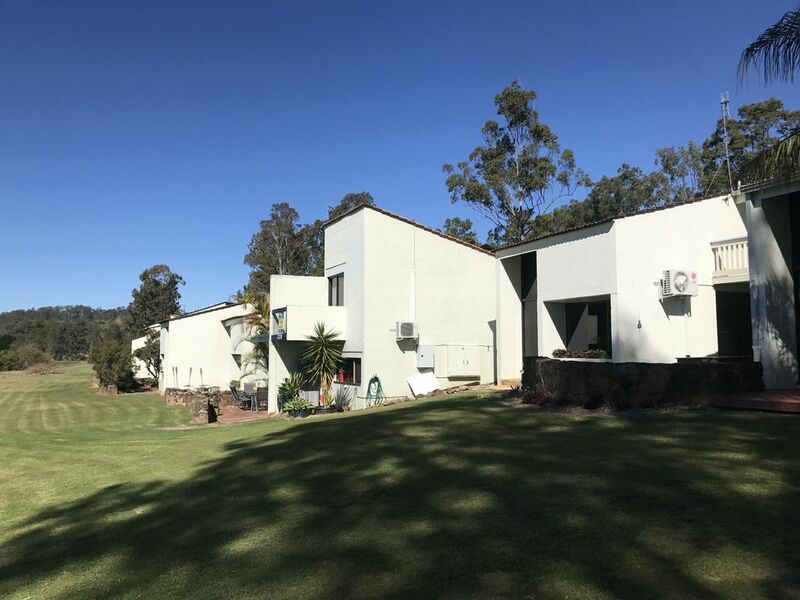 We would be delighted to allow other responsible people to experience our beautiful two bedroom unit right on the golf course at the stunning Kooralbyn valley. Alan and Mary-Anne have a lovely villa that is clean, comfortable and has everything you need when away from home. Love the view from the back of the villa. Nice place and well located for our needs. A nice place that is well located for people playing Kooralbyn Golf Course. The unit is well provisioned apart from the ancient cooking range. I would recommend as a cheaper alternative to the rooms at the nearby Ramada Resort. In past years I have enjoyed many stays at the Hillside Villas, and this was no exception. The property has obviously been recently renovated and most of the accoutrements, including the airconditioning and bedding are near new. I will be back after the next rain, which the fantastic course layout desperately needs.